We were out on a walk this morning when we encountered two baby blue jays under the watchful eye of a mother blue jay. Here are a few pictures. They hopped around a little and even flew (or wing-assisted jumped) from branch to branch on a small tree. The pictures are high resolution, so if you click on them, you'll see larger than life-sized details. I love baby's especially in nature. I see not many people read this site. Fly away little one!! Absolutely precious photos! 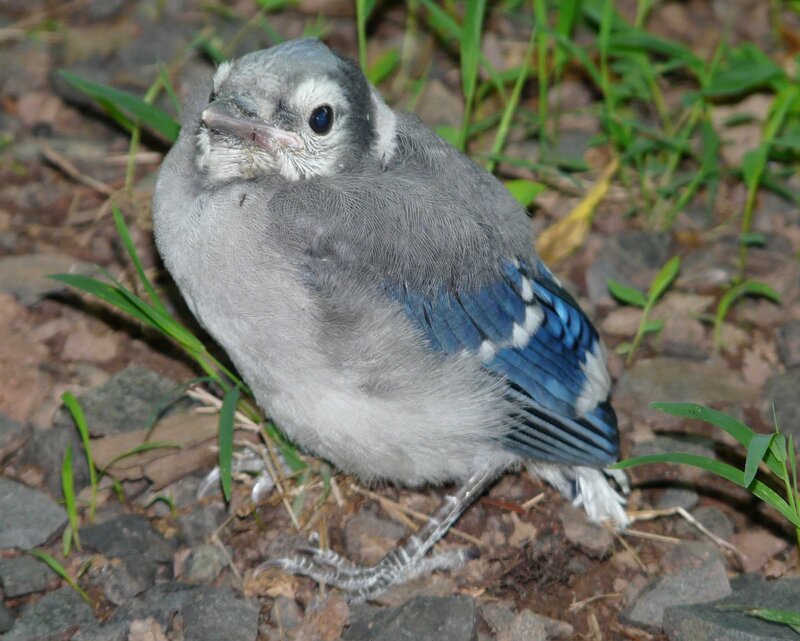 Good luck to the two baby Blue Jays and thanks for sharing these photos with people like me who enjoy Blue Jays!